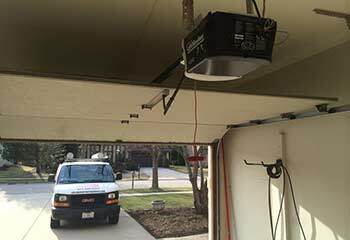 Our company has been providing garage door repair, replacement and maintenance services for years and is always available to assist you. Find out how we have successfully solved existing problems for other people to get an idea of what to expect from us. 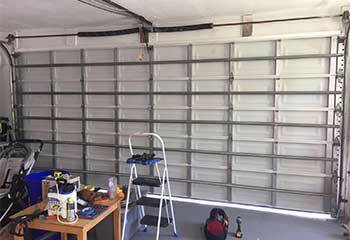 Customer Issue: Garage door needed to be replaced. 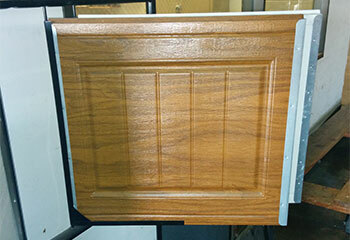 Our Solution: This customer's door was beyond repair, so we offered the him several options and he choose a door from Clopay's Classic Wood collection. We then removed the old system and installed his new door. Afterwards, we tested the mechanism to make sure everything was working correctly. Customer Issue: Old opener not working. 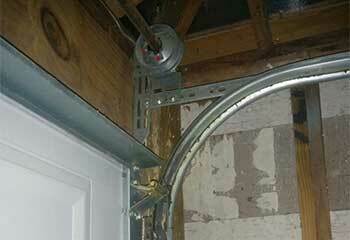 Our Solution: After inspecting the old opener we decided that it would have to be replaced. We presented the customer with several options and she decided to go with an Amarr® 840 Smart Wi-Fi belt-drive opener model. 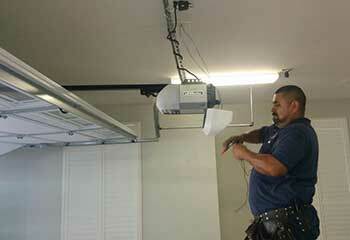 We then proceeded to remove the old unit and install the new opener in its place. Customer Issue: Opener drive failure. Our Solution: We replaced the drive system on Dan’s Chamberlain WD1000WF opener. This ensured the system would work for years to come. Customer Issue: Cracked wood panels. Our Solution: We removed the damaged panels that could not be repainted and replaced them with brand new matching versions. Our Solution: The door was in fine condition. We just needed to fix the track and realign the door back on it to get it back to working order.